On the 21th of August Aerobots was invited to participate in the Mini-Workshop “Precision agriculture, efficiency in harvesting methods and its impacts on sugar production”, as part of the XXI Congress of the Sugar Technicians Association of Honduras (ATAHON, as its acronym in Spanish). 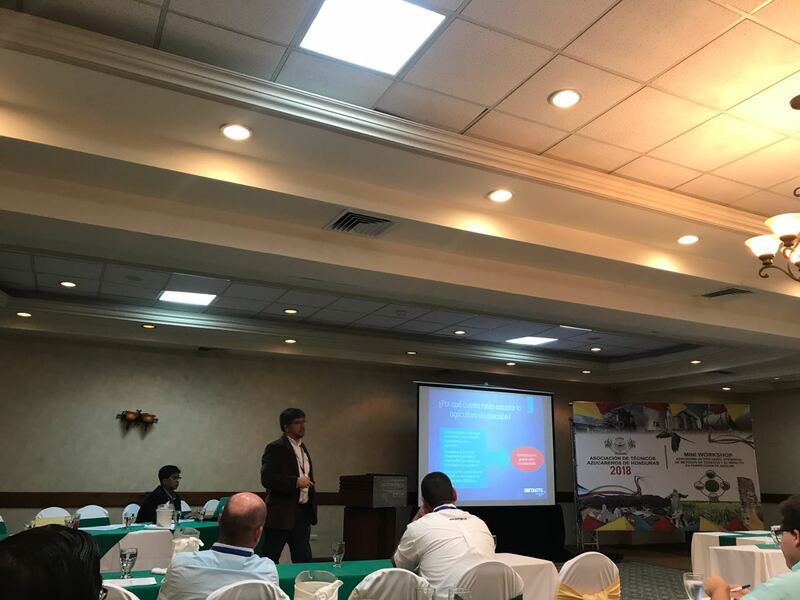 During the workshop, Alfredo Suárez presented the conference “Precision agriculture: Base for digitize the agriculture”, where it was explained how many technologies related with precision agriculture are aiming to establish a base of information for decision making in crops. During the event Aerobots also shared experiences about the use of UAVs in sugarcane with technicians of Hondurans sugarcane companies, seeking to establish business relationships in the country.